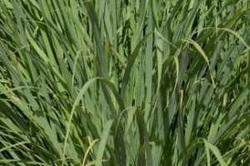 Site: Plant Lemongrass in full sun in rich, well-draining soil. Lemongrass also works well in containers. We recommend a three-gallon pot. Growing: Allow soil to dry between waterings in the growing season. Water sparingly in winter. Fertilize every two weeks during the growing season. Most balanced fertilizers are adequate, but 15-30-15 worked best in our trials. Time-release granules also work well. Fertilizing is not necessary during the winter. This tender perennial can be grown year-round outdoors in USDA Zones 8-12 (southern United States). In cold climates, Lemongrass should be overwintered inside. It is easily dug up and re-potted, if necessary. When frozen, Lemongrass will die. Pests and diseases are very infrequent.